Picking the ultimate location for your proposal. The Ultimate Gesture in the most Romantic Location. 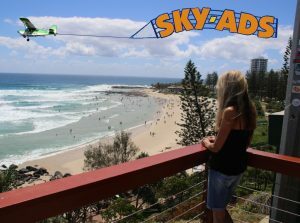 SKY-ADS knows every Romantic Marriage Proposal location on the Gold Coast – below are just a few of our favourite Marriage Proposal Locations. If you have decided on the location for your proposal – great, let us know the exact rendezvous point – use the Google Maps below. If you are unsure or would like some ideas Scroll down for What Women Want. Point Danger Lighthouse right on the border of NSW and QLD. Offers beauty, plus the romantic symbolism of the lighthouse beaming your message of love across the ocean. Offering elevated park area or a more private location looking up at the cliffs right by the ocean. There is even a café across the road with eating bench facing the Sea. Rainbow Bay Hill is a beautiful location with views from the lookout across the water to Surfers Paradise – a perfect backdrop for your pictures – it is a short stroll from cafés, restaurants and accommodation – it has symbolism of the ships capstone direction finder monument so your relationship will never be lost – not to mention that the world’s best beaches are just below. This is the lovely romantic view you will present your love with, if you select Rainbow Bay Hill for your Marriage Proposal. There is no end to the time you can spend gazing over the sea. 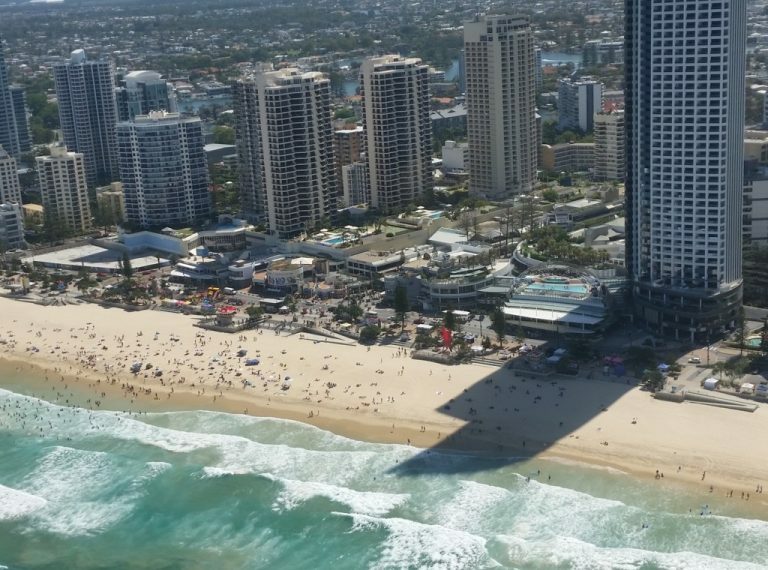 Surfers Paradise in the background and two of the world’s most beautiful beaches each side. 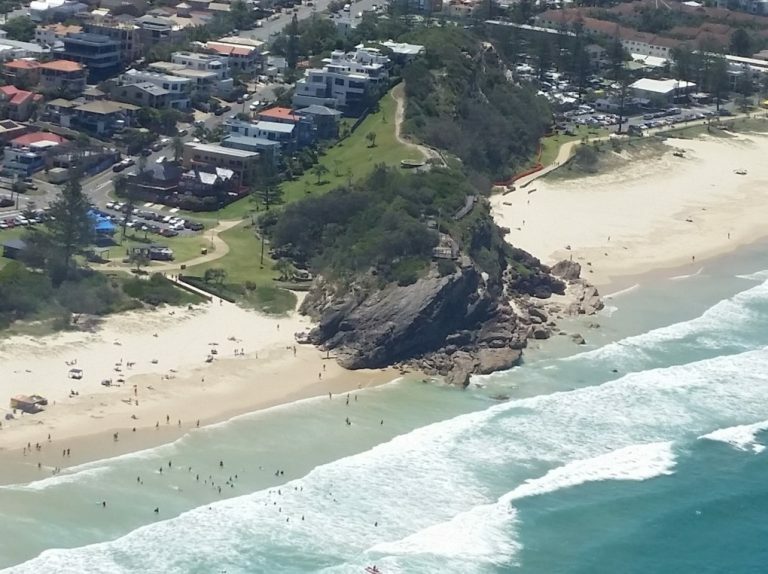 As the saying goes “Let Kirra be Kirra” that is because Kirra is perfect as it is and what could be a more perfect location for a marriage proposal? 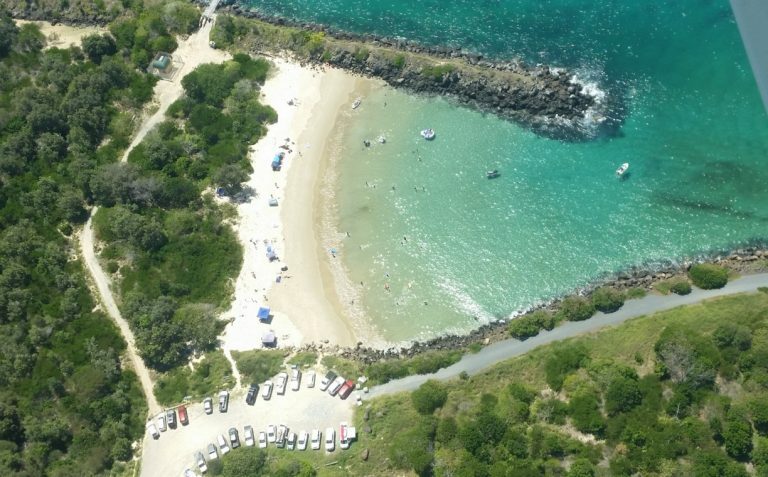 Kirra Hill has spectacular views to romance your love. Beauty all round. Surfers Paradise in the background and 4 of the world’s best beaches either side. 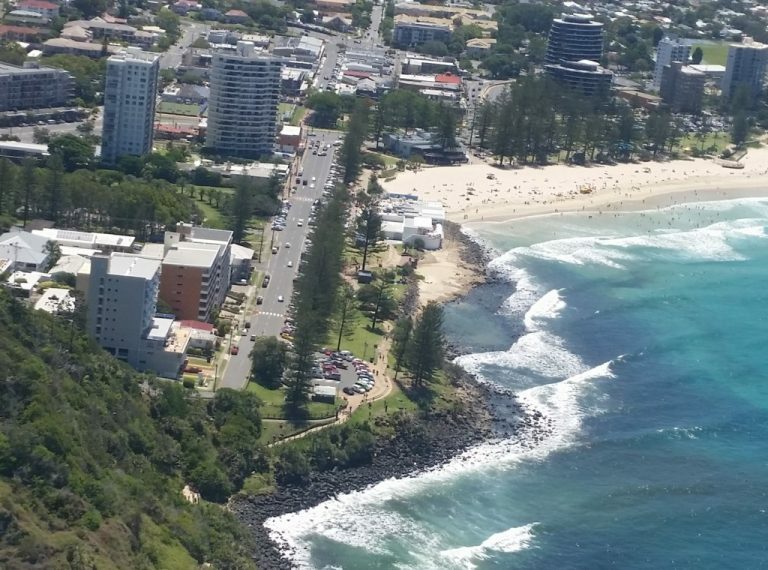 Burleigh Headland offers many attractions – there are bushwalking trails (if your lady enjoys walking) otherwise the park has the beauty of the ocean and waves of the surf to set the romantic mood – this location is more challenging than others for us because of the headland, so you might see some spectacular flying at this location. 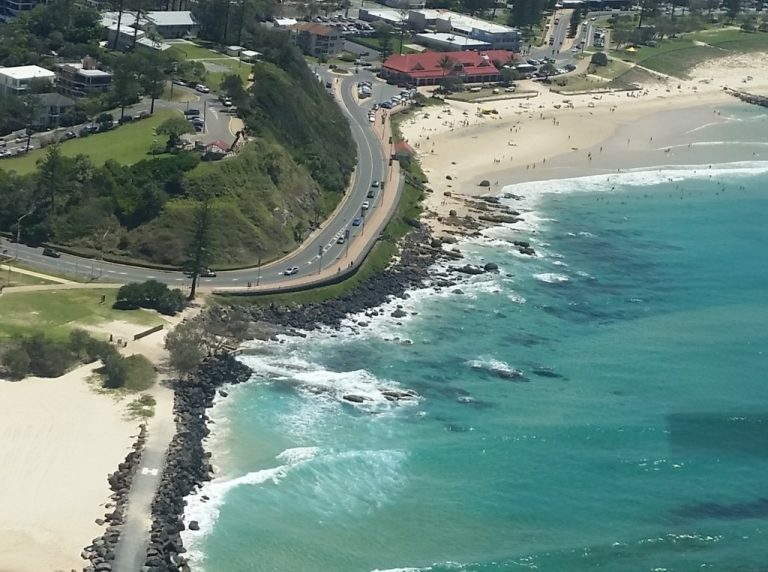 North Burleigh Lookout is just north from Burleigh Headland but offers an unobstructed view of the ocean – this provides us with easy access, so we are able to position your proposal banner into the perfect position. A balcony location can be romantic and allow you to share the memorable moment with those close to both of you. Have a look on mum’s face at the door. What could be better? Check with us first before you book a room. Just to ensure that we can display your message to the full. 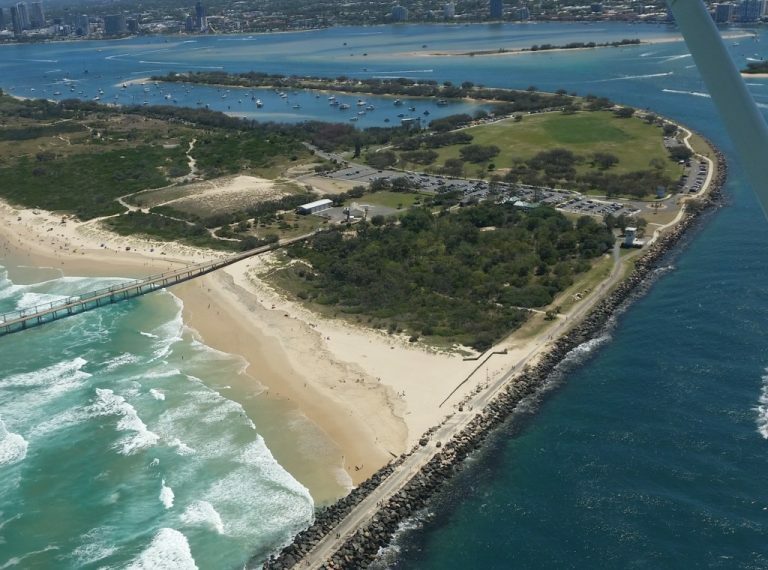 The Southport seaway offers parkland for a picnic – beautiful vistas over the Broadwater and Ocean – it has the symbolism of the rock wall providing strength to the relationship as it resists the pounding of the waves from the sea – a relationship begun at such a location is sure to last the test of time. Do you have access to a boat? 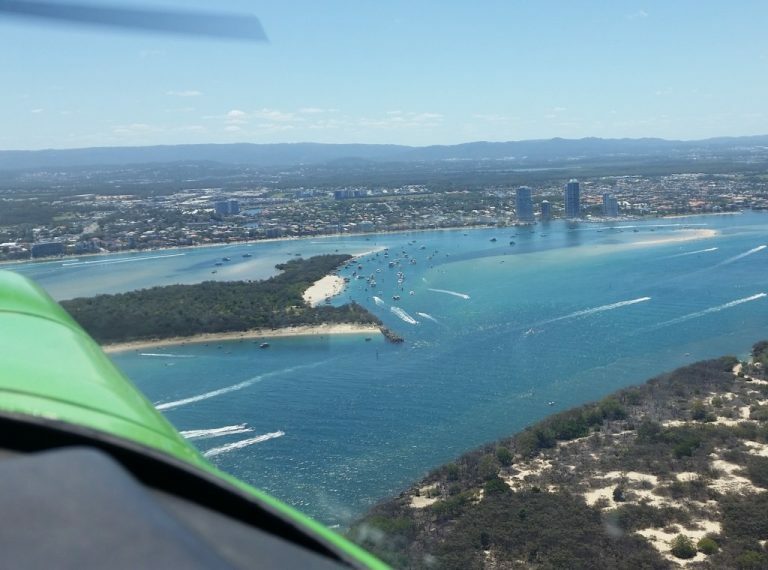 There are millions of exotic locations on the Gold Coast waterways – any of which would make a romantic location for a special proposal. There are literally thousands of romantic beach locations on the Gold Coast – this one is at the mouth of the Tweed River accessed from Fingal – most days it is completely deserted – New Year’s Day is pictured here but this is just an example of where a romantic picnic could take place with the water lapping onto the shore. 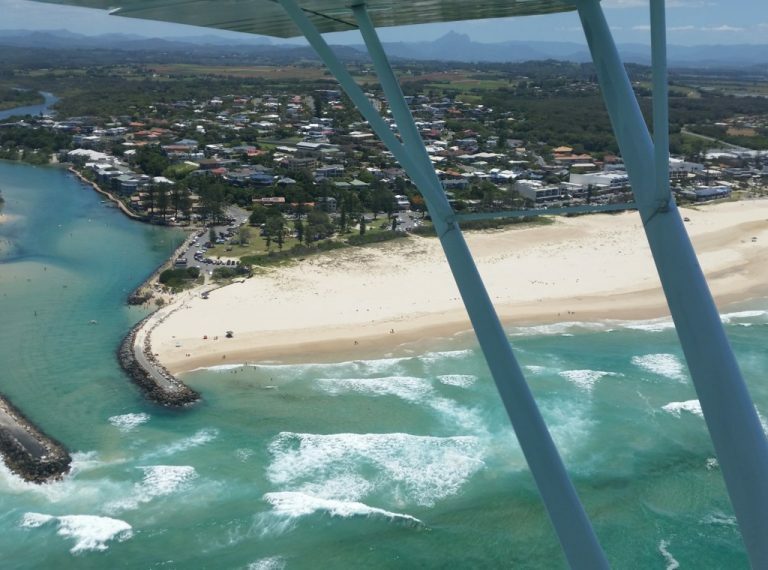 Kingscliff is a quaint seaside village with lots of the romantic charm of Byron Bay but not so far south. Magnificent Beaches are just a short stroll away, often times you can be completely alone with your soon to be fiancée. This village also has a reputation for its cafés – most with an ability to position your love to face the sea waiting for SKY-ADS to deliver your message. 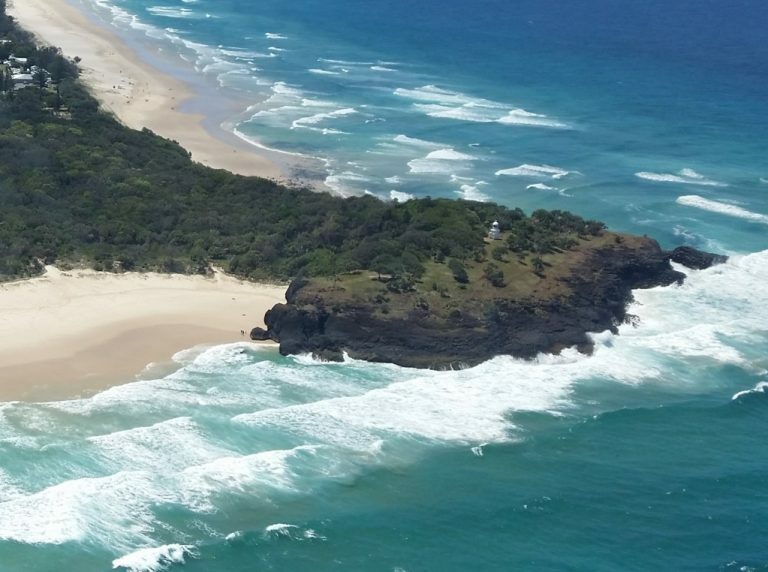 Pictured is the Fingal Lighthouse which is the closest traditional Lighthouse to the Gold Coast – great spot for photographs – SKY-ADS also does aerial marriage proposals around the Lighthouse at Byron Bay – either location brings the powerful romantic symbolism of your love being broadcast forever over the ocean. SKY-ADS Tips on What Women Want – in a Romantic Marriage Proposal Location. Everybody loves a beautiful location therefore for your proposal this is probably the key consideration. Consider your loves interests, above all what does she like? In addition what does she consider beautiful? Fortunately for us the Gold Coast and nearby areas are packed with beauty. Romance and symbolism go hand in hand therefore to make your proposal memorable adding a symbolic feature can really increase the romance. Similarity Personal Symbolism is especially important. The location of a first date or first kiss. Is there a location special for the two of you that could serve? Physical signs at the proposal location can help make your proposal romantic and truly memorable. A Lighthouse – broadcasting your love forever over the ocean. An Anchor – anchoring your love steadfastly. A Headland – holding out from the ocean even though the surrounding land has given in. Can represent your commitment to your new relationship. Rock Walls poking out into the sea guiding the river or protecting the beach can also be significant. Finally, no discussion of Marriage Proposal Symbolism would be complete without the most important symbol. Getting SKY-ADS to write your Romantic Marriage Proposal across the sky. Create a reason to linger in the area. For instance a romantic picnic lunch shows caring and consideration. In other words you have thought of everything. More over this will give us a window to arrive overhead without you waiting. Because Aviation is an art rather than a science and winds are unpredictable. You do not want to be waiting uncomfortably padding searching for an excuse to stay. Above all we do not want to blow the surprise. We will aim to arrive bang on time, but allowance needs to be made for “Aviation Delays” plus or minus 10 minutes usually covers it. Consideration could be given to including your proposal of marriage into a bigger occasion. For example booking a room for a romantic getaway. Similarity do you like camping together? Even just sharing a meal adds romance therefore going to the effort to pack a picnic is always a big hit. Or scoping out a restaurant or cafe which looks out over the ocean or broadwater. If you live in Sydney, Melbourne. 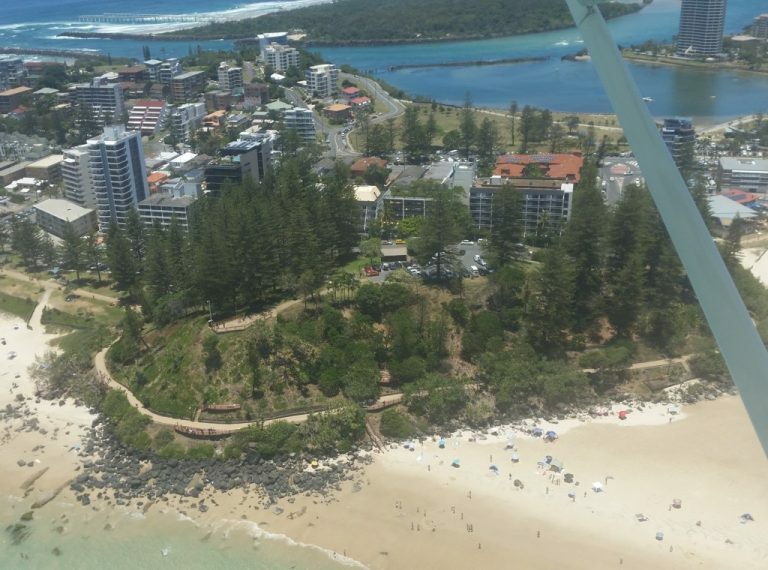 You will find that a weekend package of airfare and accommodation on the Gold Coast is cheaper than just a proposal on its own. Above all a holiday on the Gold Coast raises the romance value of your proposal through the roof. ♥ Does your lady like the beach? Beach proposals are not as easy as they sound but SKY-ADS are here to help. SKY-ADS have been helping deliver romantic marriage proposals for over 35 years after that time we have learned all the tricks. Therefore we will work with you to ensure a successful display. For example drawing a large Love Heart in the sand. Also pinpointing your exact location so you get a fantastic display which will stay in the memory for years to come. If you have the means finding a deserted island is a very romantic gesture. But there are many places which have the feel of a deserted island but are accessible by car. Again out favourite option of a picnic sets a romantic tone. Then SKY-ADS will write your proposal across the sky. Lifting your love above the bonds of the earth is a very romantic gesture. This can mean a hot air balloon. SKY-ADS will liaise with hot air balloon operators to rendezvous in mid-air, if you think that would appeal to your friend. There are many other ways to lift your love off the ground. Standing atop a headland gazing out to sea is the height of romance. SKY-ADS will to fly past with your marriage proposal whilst you enjoy the vista. 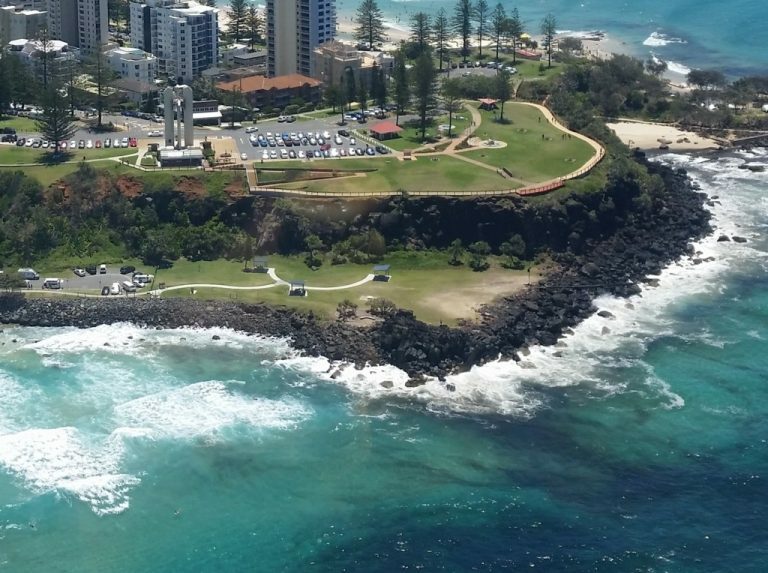 SKY-ADS does not recommend doing a marriage proposal south of Burleigh Headland down to the Airport. Sorry but Palm Beach and Tugun should be avoided. You understand that Nothing spoils romantic mood quicker than a screaming jet airliner just over your head! Not to mention that airline pilots get worried if a little aircraft is towing a sign right where they want to turn for final approach to land. Do not do anything that will put your love on edge or nervous. Conversely if she is scared to be alone pick a location where there is usually a few people about. Likewise don’t force her to participate in “an adventure” that would make her uncomfortable. The entire aim is to have her comfortable and relaxed. Most importantly, with no idea of the surprise which is about to be written in the sky for her. Your Location on Google Maps. When you book with SKY-ADS, We will show you how to Drop a Pin onto Google Maps. That way we’ll know exactly where you will be. This way you will be Guaranteed to receive the best Aerial Display possible. You do not need to do this step yet.